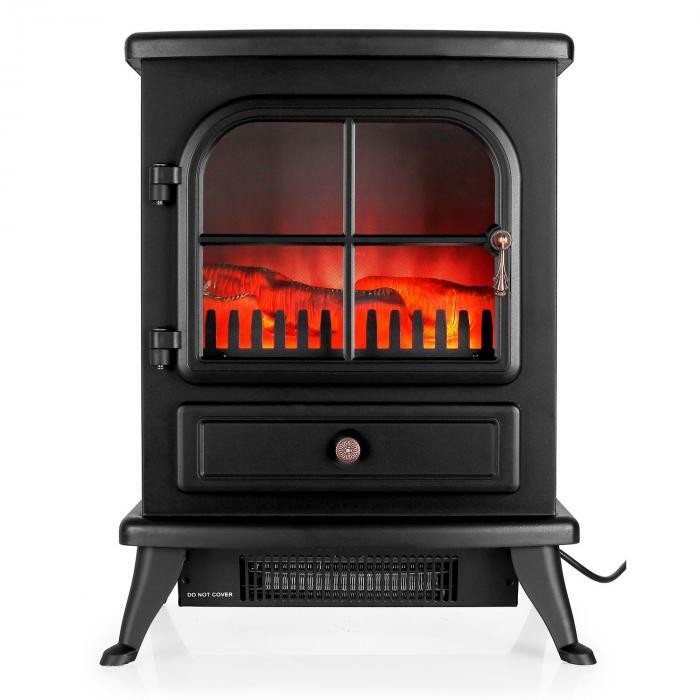 Atmospheric stove in a nostalgic look for romantic warm hours at home. 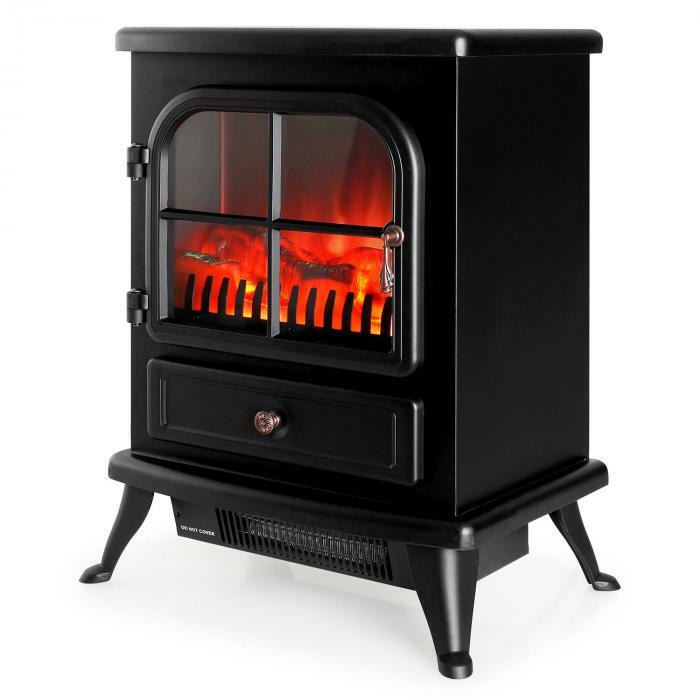 Built-in electric heating fan with 1850 Watt power in two heat settings and adjustable thermostat. 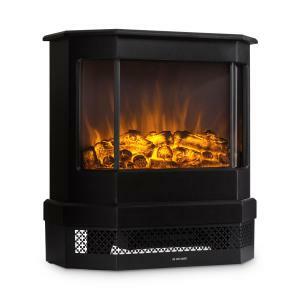 Deceptively real flame illusion with decorative wood and controllable luminous intensity - operated separately from the heating fan. 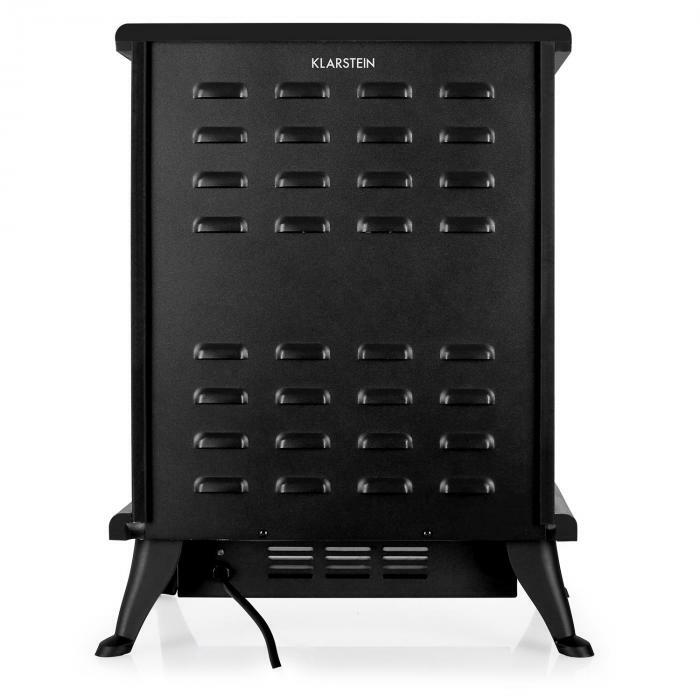 The Klarstein St. Moritz is a heartwarming electric fireplace which creates a cozy atmosphere in any space. 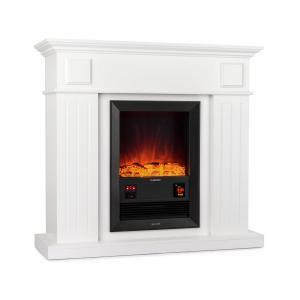 Even when switched off, the St. Moritz makes a beautiful accessory for your home. 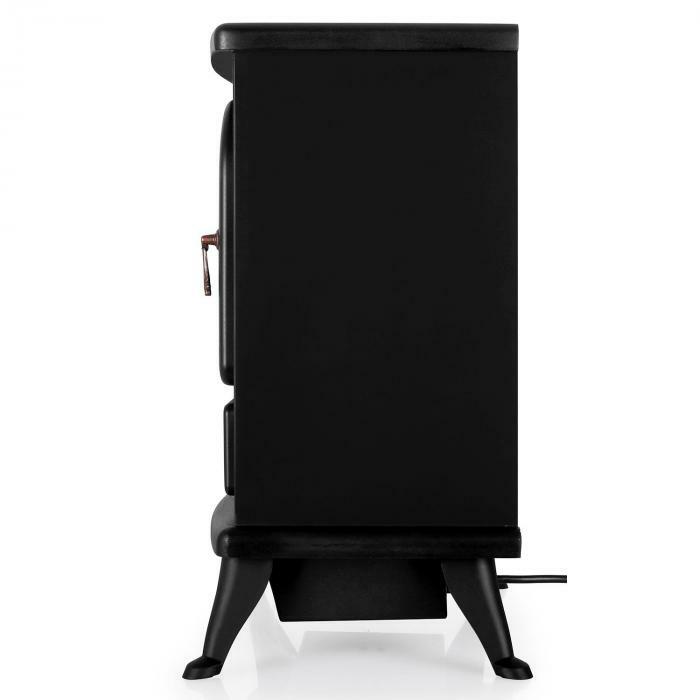 With its chic black wood finish, authentic metallic handles and subtly curved legs, it hearkens back to classic furnaces from a bygone era. The absence of an unwieldy exhaust pipe identifies the St. Moritz as a more advanced product than its predecessors. Here lies its greatest advantage: in order to enjoy this fireplace, you need nothing more than a power outlet. 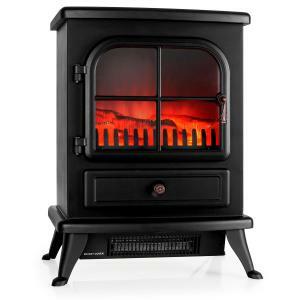 Once switched on, it beautifully simulates the gleam of blazing flames, lighting up the entire room. 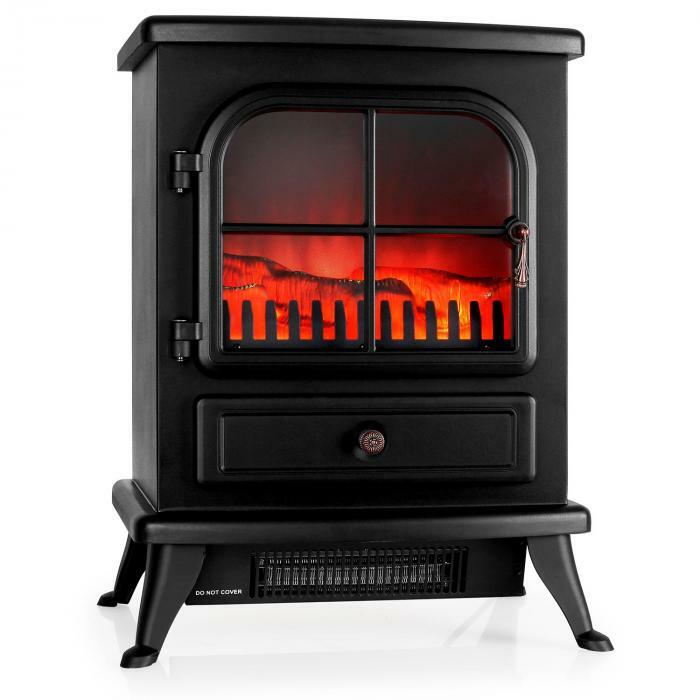 The heater's brightness control allows you to intensify or reduce the appearance of the flames. 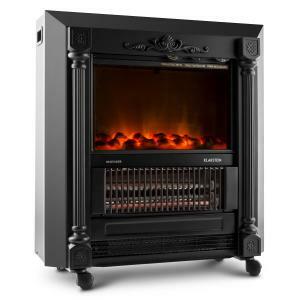 But what would a fireplace be without proper heat? Fortunately, the St. Moritz is not just a decorative device. 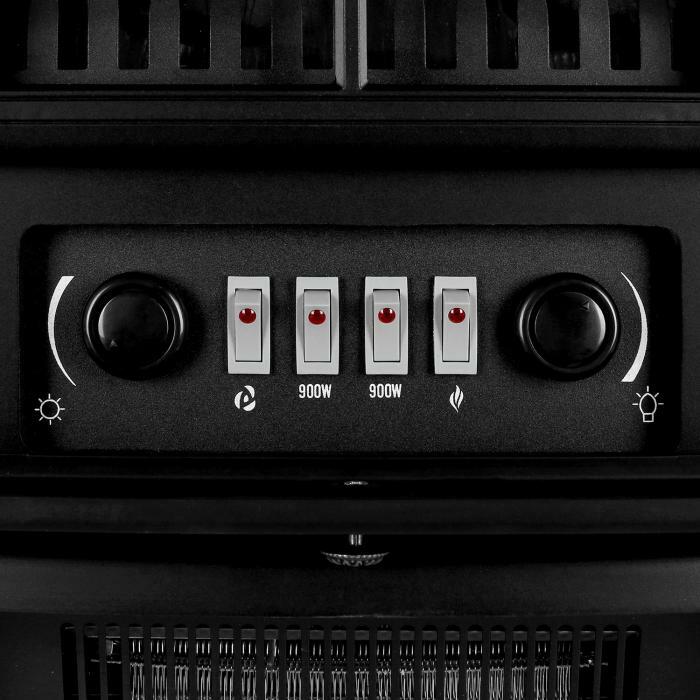 With the push of a button, the fan heater is activated, quickly filling the room with heat. As a result, the device provides an experience twice as heart-warming, allowing you forget about your worries and completely relax.